Multi-platinum recording artist, Steven C is honored to bring forth his long awaited release of Christmas Beyond (2014). This is a one of a kind collection of timeless old world Christmas music, by pianist Steven C. Recorded in the majestic Cathedral of St. Paul, MN this album captures the beauty of the deep Cathedral's acoustics through Steven's Bosendorfer Grand. The sound is truly rich, lush and from "Beyond." With touchingly elegant solo piano selections by Steven C, to fully orchestrated songs, arranged by nationally renowned Adi Yeshaya, and with members of the MN Orchestra, Christmas Beyond is a moving experience that is deeply transformative. This collection also features music that takes us beyond Christmas and evokes the timeless magic that embraces the essence of winter, feeling the reverence of life in our lives beyond the Christmas message and season. As the highlight of his career; a personal catharsis of enlightened moments and as the most beautifully acclaimed work to date, Christmas Beyond will be carried with him forever. Spiritual Piano, released in 2010, of solo original compositions were influenced by Steven's desire to be more spiritually enlightened. This collection compels the listener to take their own spiritual journey. The songs have the power to be a catalyst for healing, meditation and transformation. His Heartstrings (2007) recording project was recorded in London at the famed Abbey Road Studios. It features all original compositions by Steven with orchestrations by Grammy AwardTM winning conductor Arnie Roth (Andrea Bocelli, Charlotte Church, Chip Davis) and features the prestigious London Symphony Strings. And Signature (2007) features 15 solo piano originals that evoke many deep emotions. Accessible without being simplistic, Signature is truly the sound of Steven's heart and soul. Classically trained and gifted with a keen ear and sensibility for all styles of music, Steven began his musical education with piano lessons at home and eventually honed his craft and distinctive style at Hamline University, where he earned a BA in music (piano and organ performance). During this time he had the good fortune of studying extensively with the late jazz legend Manfredo Fest. Steven was honored by his alma mater later for his ever-expanding musical excellence by presenting him with the distinguished First Decade Award. Steven also works with a select list of diverse and respected clients, such as, The Center for Spirituality & Healing at the University of MN, Minnesota Public Radio, Minnesota Timberwolves, Salem Communications and the Fitzgerald Theater. He has also served as producer for the award winning Baby Genius series. And in the early 90's, Steven became audio director/executive producer for NorthWord Press. This successful Wisconsin-based record label produced albums mixing music with the serene sounds of nature. Steven produced over 350 successful titles for NorthWord Press and other noteworthy labels. Steven's music has been enjoyed worldwide through numerous recordings and live performances. He has also graced the airwaves of NBC's The Today Show, QVC, PBS, Pandora, Oprah, Music Choice, and the Discovery Channel. Additionally, Steven proudly endorses the illustrious Bosendorfer piano. 12 Angels Heard: Do You Hear? I Heard! 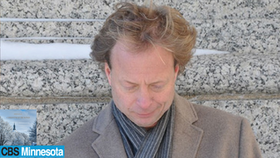 Minnesota-based pianist Steven C. Anderson has sold more than 2 million records and has performed worldwide with artists such as Mannheim Steamroller and the London Symphony Strings at Abbey Road Studios in London. 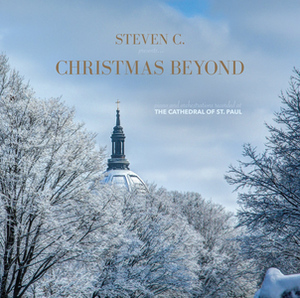 He has now released his latest Christmas album, "Christmas Beyond" recorded in the Cathedral of Saint Paul (Minn.), using Steven's magnificent 9-foot Bösendorfer concert grand. This latest album is the final product of a long journey, both musical and personal. "I've wanted to create this project for years, but it needed for me to go through big changes and be fully in it," he says.